Egypt's government adopts law which stipulates harsher punishments to those convicted of terrorism. Egypt's government on Wednesday night adopted a controversial anti-terror law and requested a faster court appeals process, AFP reports. President Abdel Fattah al-Sisi, who vowed to adopt tougher measures following the killing of state prosecutor Hisham Barakat on Monday, is expected to swiftly ratify the law, the report said. Wednesday's draft law will provide "means to drain the sources of terrorism financing," a cabinet statement said. Minister of Transitional Justice Ibrahim Henaidy told the state-run Al-Ahram newspaper that the new law will "stipulate harsher punishment" to those convicted of "belonging to a terrorist group...committing terrorist acts or had used violence". The law will also widen the powers of "investigators of terrorist crimes," grant new authorities to the prosecution, and "facilitate procedures to inspect and examine bank accounts," of suspects, Henaidy said. The new law was adopted hours after a multi-pronged jihadist attack against the Egyptian military in the Sinai Peninsula left up to 50 Egyptian soldiers dead. The attacks, which were claimed by a terrorist group linked to the Islamic State (ISIS), included a suicide car bomb detonated against a military checkpoint at Sheikh Zuweid in northern Sinai, which caused most of the casualties. There were also apparently multiple attacks on other military checkpoints and an explosive device was detonated on a major highway. In July 2013, then army chief Sisi deposed his Islamist predecessor Mohammed Morsi and has overseen a brutal crackdown against his supporters, leaving hundreds dead and thousands jailed. Since Morsi’s overthrow, Egypt has been facing a Sinai-based insurgency that has killed hundreds of policemen and soldiers. 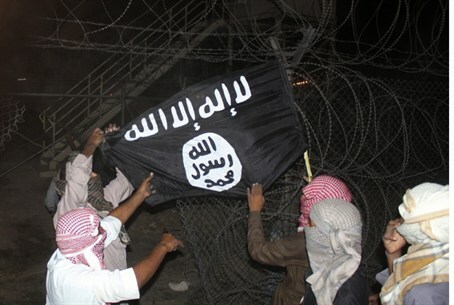 Sinai Province, a group affiliated with ISIS formerly known as Ansar Bayt Al-Maqdis, has claimed responsibility for most of the terrorist attacks in the Sinai over the last few years. In another recent attack, members of the group killed two Egyptian judges and a prosecutor in the Sinai, in an attack which came hours after a court in Cairo sentenced Morsi to death for his role in a mass jailbreak during the 2011 uprising.